Dr Lee Kang Hoe graduated from University of Cambridge, UK. He was a scholar at Jesus College, Cambridge and a recipient of the Duckworth Prize. He also received support from Kuok Foundation, Malaysia for his medical studies. Dr Lee interned with Professor Sir Roy Calne at Addenbrooke’s Hospital and finished his general medicine training at Cambridge before coming to Singapore. In 1990, he joined the Department of Medicine at the National University Hospital (NUH), Singapore. Dr Lee completed his Fellowship in Critical Care Medicine at the University of Pittsburgh Medical Center (UPMC) in USA from 1993 to 1995, and was awarded Fellow of the Year in 1994. From 1994 to 1995, Dr Lee performed research with Professor Michael Pinsky at UPMC on acute lung injury. On his return to Singapore, Dr Lee crossed over to the National University of Singapore (NUS) as a Lecturer in Medicine and was promoted to Associate Professor. He was also the Medical Director of the ICU at NUH, where he started the liver dialysis programme in 2000. Dr Lee was with NUS until 2005 when he joined Gleneagles Hospital, Singapore as Director of ICU. Since then, he has been working together with the Asian Centre for Liver Diseases & Transplantation (ACLDT), now known as Asian American Liver Centre. Dr Lee has expanded the liver dialysis programme to include other devices, and also helped set up the dedicated liver ICU where he has been active in the management of liver failure and liver transplant patients. 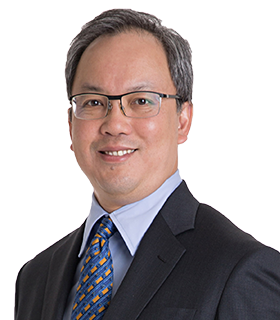 Dr Lee was one of the founding members of the Society of Intensive Care Medicine and was a member of the Specialist Training Committee for Intensive Care Medicine and Respiratory Medicine. He has published extensively in the critical care and liver transplant areas, and he has also been involved in various research protocols together with scientists at NUS and A*STAR in Singapore.